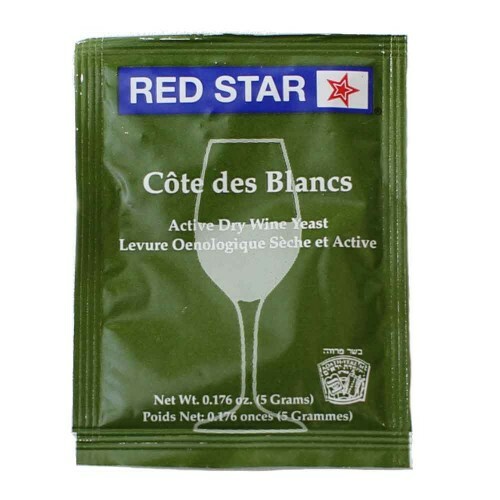 Red Star Cote Des Blanc Yeast - Texas Brewing Inc.
Côte des Blancs is a fast fermenting strain that ensures a regular fermentation even at low temperature (12°C-14°C, 53°F-57°F). Alcohol tolerance: >14% vol. This yeast produces fine fruity aromas, perfect for all high-quality white wines with intense varietal expression - s Chardonnay, Sauvignon Blanc, Riesling, Gewurztraminer, Moscato and has also shown very good results on sparkling and rose wines.